Steve and I love spaghetti squash. Not because it's healthy, we just love the texture. Low in calories is definitely a bonus. 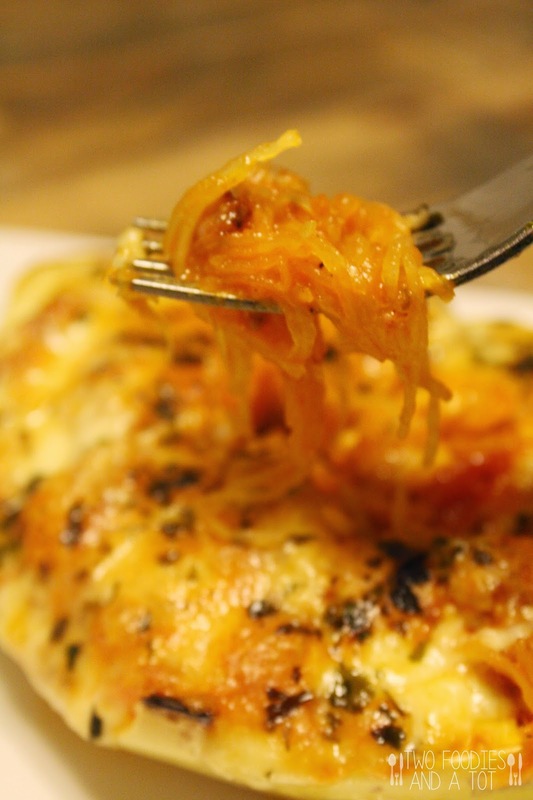 We used to eat spaghetti squash dish at least three times a week a few years ago. From yaki squash noodles to the most predictable, tomato sauce spaghetti. Before we got married, as our wedding's coming close, Steve went on a strict diet and spaghetti squash made a huge difference because he LOVES pasta. All the noodles he loved were switched to spaghetti squash. Then somehow we don't cook it as often as before. Well, it's still the first month of the new year. Still not too late to get the spaghetti squash back on the menu! 1. Preheat the oven to 375F. 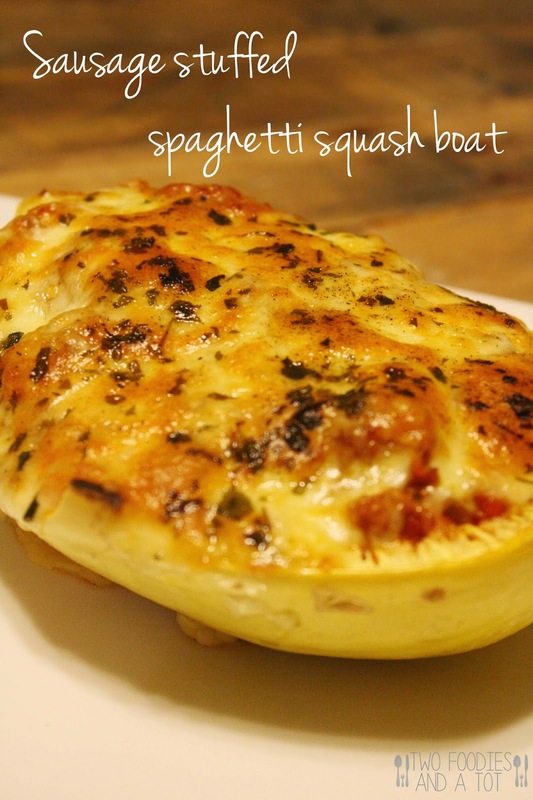 Microwave a whole spaghetti squash for 3 minutes and carefully cut it in half lengthwise. Microwaving makes it so much easier to cut it. 2. Using spray oil, lightly grease a baking sheet and bake spaghetti squash cut sides down for 30-40 minutes. 4. When spaghetti squash is done, let it cool to temperature you can handle and carefully scrape it off with a fork, so the flesh comes off like spaghetti. 5. Stir the "spaghetti" into the sauce. When all mixed, fill the squash shell with it. Top with mozzarella cheese, parsley and pepper. Broil for 7-10 minutes, or until cheese is melted and browned a little. Serve immediately.